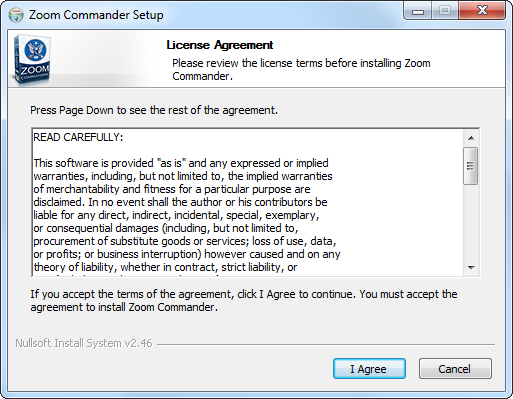 Zoom Commander's installation is comprised of a 'Commander' control application and a 'Presenter' content display software. 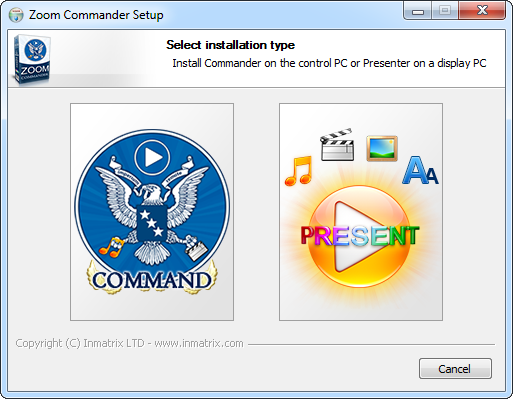 This section of the documentation addresses the installation of the Commander software. The Presenter installation documentation is available here. 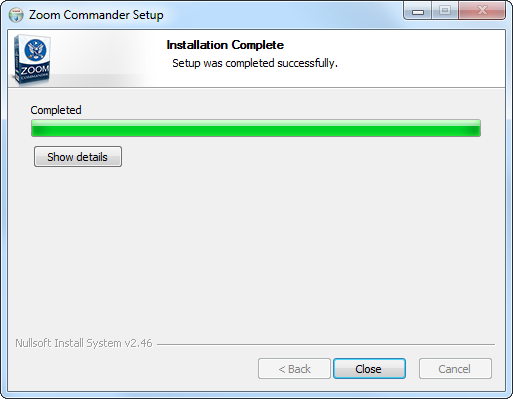 Before beginning the installation process, download the latest version of the installer. 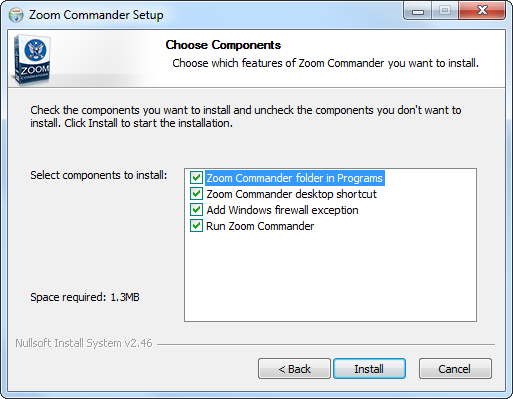 The installer's EXE name structure is "zcommandnnn.exe", where "nnn" represents the version number. 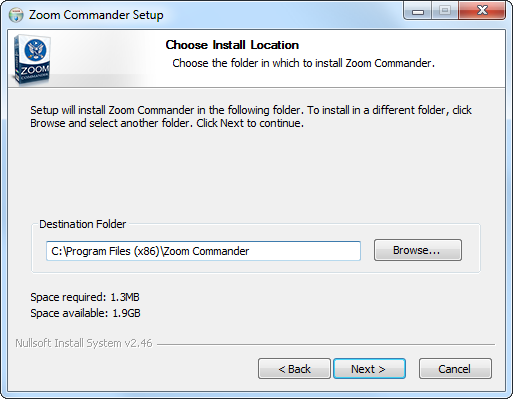 For example "zcommand100.exe", or for a beta version "zcommand900b7.exe". Once installed, start controlling display devices by adding screens or review the many available layout scenarios.